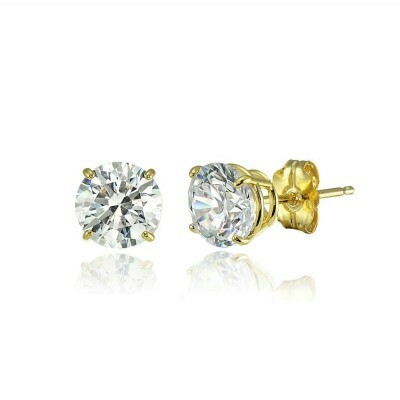 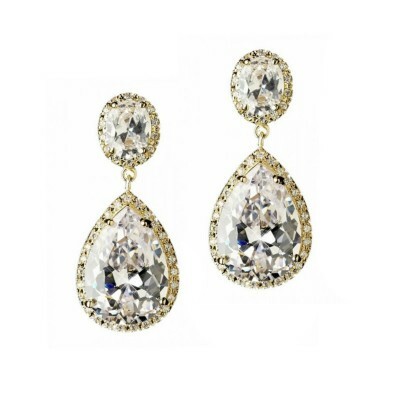 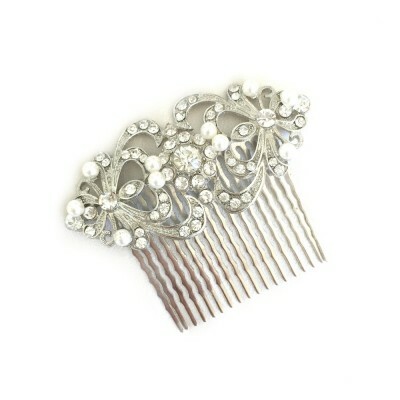 Features an elegant antique design that works perfectly with your vintage-inspired wedding dress. 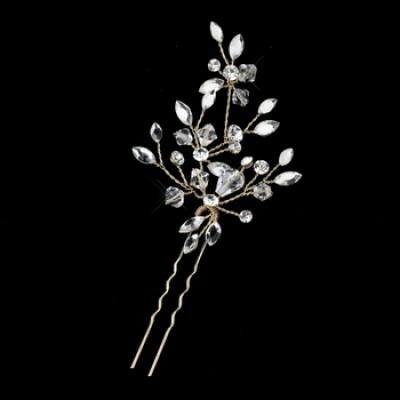 This bridal comb's adaptable design makes the Beatrix an easy option for matching with other bridal jewellery pieces such as bridal earrings, bridal bracelets or necklaces. It is a great medium-large sized comb that can be worn in several places on the head, and the curved design means it nestles well into upstyles without adding bulk. 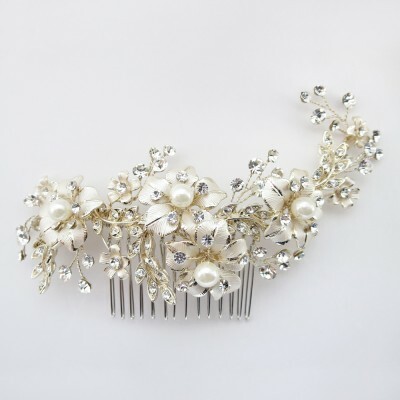 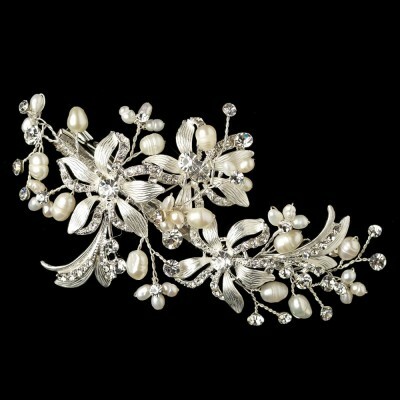 The comb is set with sparkling crystals and several small freshwater pearls throughout. 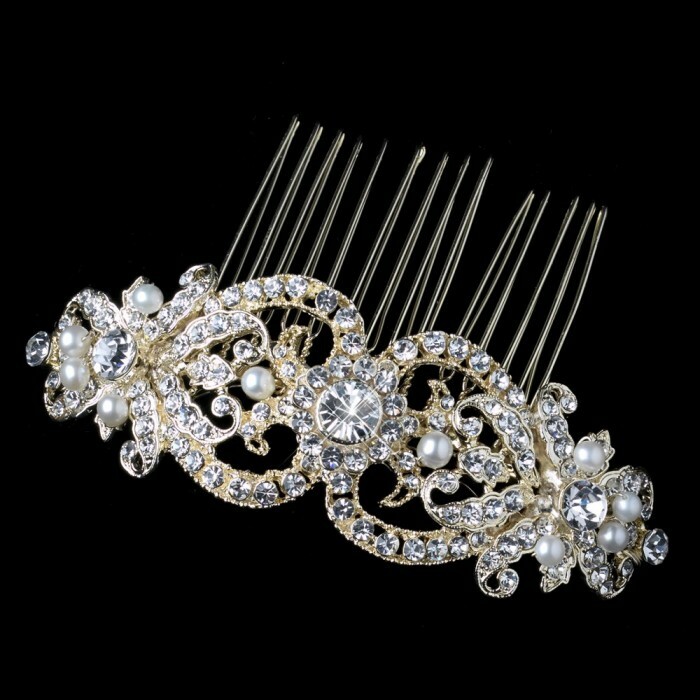 Features antique edging and bright GOLD PLATING. 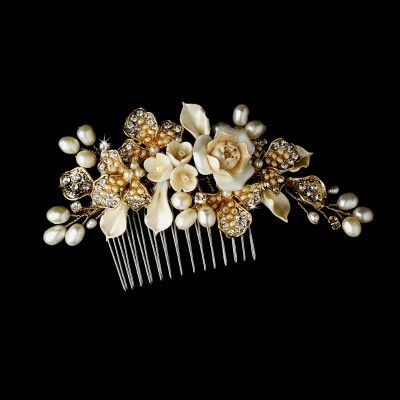 Please note the comb AND adornment are both bright shiny gold. 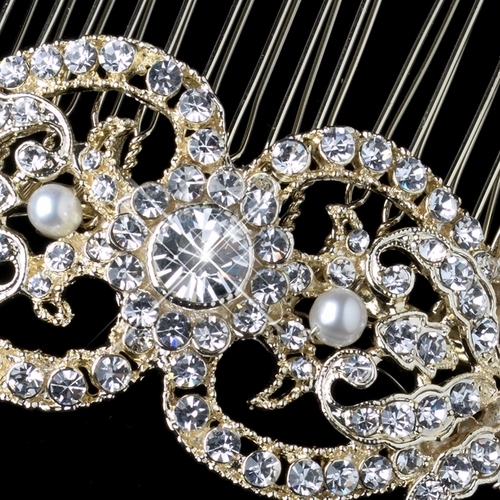 ​Please contact us for real life photos texted to your phone!